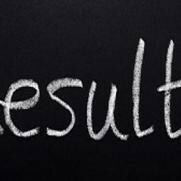 HP BOSE class 10 and 12 results’ countdown has begun. The result for both class 10 and class 12 will be declared together. Board is going to declare results by April 25, 2018. The excitement, stress and anxiety are going to end in two days with the declaration of results. The Board is almost ready to publish result, mostly all the formalities have been done. Evaluation of answer sheets is almost complete. The results are now being uploaded on the software. This time, the Board has also targeted the results of more than two lakh candidates sitting in the annual examination of Matriculation and +2 Exams within a month. 3. Click on Submit option. 4. The result will pop up on the computer screen. 5. Students can also check their results at My Result Plus.